Jeans has been one of the most common casual outfit in the world since decades, for men as well as women. It can be worn with any kind of type and you will look amazing. Jeans are one of the most worn apparels today by men and women in India especially because of its easy fit, comfort it provides and as an attempt to look sleek in every possible way. Be it a casual outing or a night out, Jeans can be worn anywhere. There is a variety of shades in which jeans is available, the most common being blue and black. <br/><br/>Yebhi.com offers a vibrant collection of jeans that are not only durable, but also fashionable at the same time. You can now buy jeans online from Yebhi.com, India&rsquo;s most stylish <a href=http://www.yebhi.com> online shopping portal</a>. Yebhi has the best brands and a vast collection for jeans. The brands that offer jeans at Yebhi include Lee, Wrangler, Flying Machine, Levis, Pepe, Benetton, Denizen, Aiva, Puma and many more.<br/><br/> You can <a href=http://www.yebhi.com/online-shopping/jeans.html> buy the jeans</a> according to your size from Yebhi. Buying jeans online saves your time and effort to go out to the various brand outlets and shop, and still get the latest styles and cuts. Also, by shopping at Yebhi, you can purchase the jeans at a reasonable discount which would make you save more. Jeans has been one of the most common casual outfit in the world since decades, for men as well as women. It can be worn with any kind of type and you will look amazing. Jeans are one of the most worn apparels today by men and women in India especially because of its easy fit, comfort it provides and as an attempt to look sleek in every possible way. Be it a casual outing or a night out, Jeans can be worn anywhere. There is a variety of shades in which jeans is available, the most common being blue and black. <br/><br/>Yebhi.com offers a vibrant collection of jeans that are not only durable, but also fashionable at the same time. You can now buy jeans online from Yebhi.com, India&rsquo;s most stylish <a href=http://www.yebhi.com> online shopping portal</a>. Yebhi has the best brands and a vast collection for jeans. The brands that offer jeans at Yebhi include Lee, Wrangler, Flying Machine, Levis, Pepe, Benetton, Denizen, Aiva, Puma and many more.<br/><br/> You can <a href=http://www.yebhi.com/online-shopping/jeans.html> buy the jeans</a> according to your size from Yebhi. Buying jeans online saves your time and effort to go out to the various brand outlets and shop, and still get the latest styles and cuts. 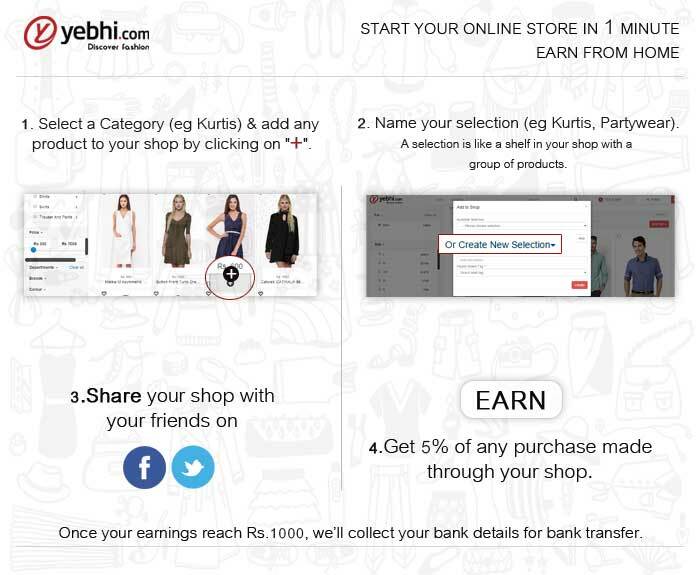 Also, by shopping at Yebhi, you can purchase the jeans at a reasonable discount which would make you save more.